PORTHOLE MIRROR, circular bevelled plate, 75.5cm diam. 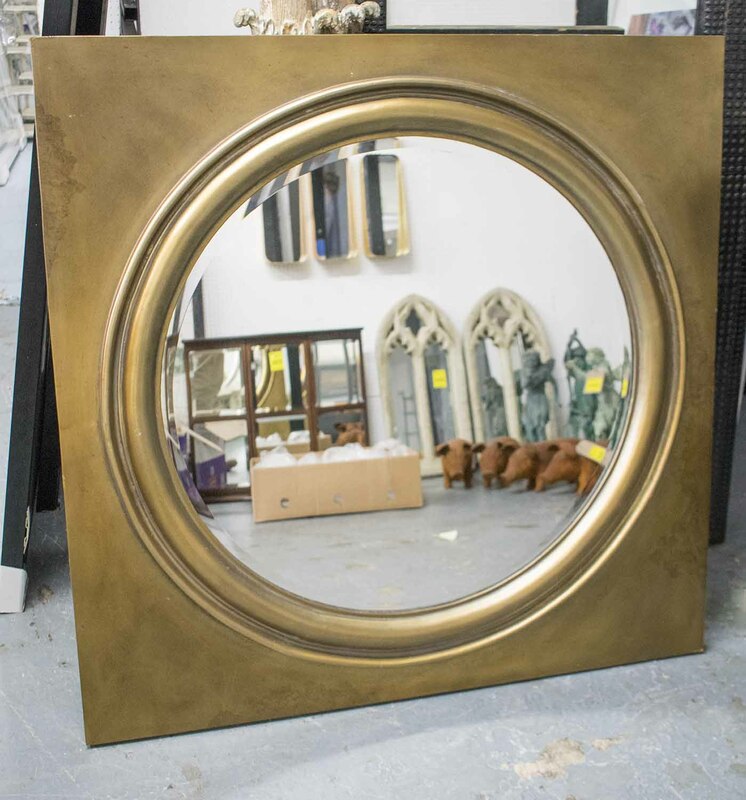 PORTHOLE MIRROR, circular bevelled plate, 75.5cm diam., in a gilded wood square frame, 107cm x 107cm (with faults). Lot 65 MIRROR, bevelled in an ornate silver painted frame, 110cm x 79cm.